♦ Myndlýsingar. Sagan af bláa hnettinum eftir Andra Snæ Magnason heldur áfram að kvisast út um heiminn. Nú fá til dæmis börnin í Brasilíu að njóta ævintýrsins. Útgáfan er að hætti hússins: með upprunalegum myndum og í umbroti frumútgáfunnar. A história do planeta azul kemur út hjá Hedra, São Paulo. Í september gaf norska forlagið Commentum í Sandnes út Det var engang en blå planet og heldur sig einnig við upprunalegt útlit, með einhverjum útúrdúrum í leturmeðferðinni, eins og sjá má á kápu. Og á dögunum kom svo út ensk útgáfa hjá bandaríska fyrirtækinu Seven Stories Press. Upprunalegar myndir fylgja The Story of the Blue Planet, en brot, kápa og annað útlit er talsvert frábrugðið frumútgáfu. 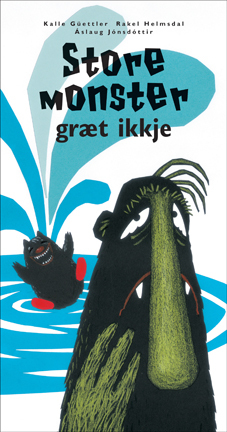 Það skal tekið fram að um umbrot og hönnun sá TK / Seven Stories Press. Ég hef enn ekki handleikið þessar útgáfur en bíð spennt eftir eintökum. Áfram Blái! 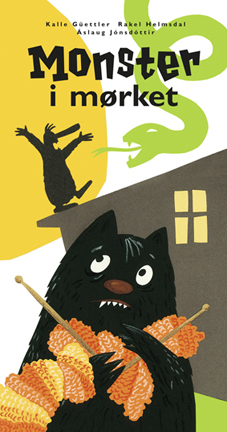 ♦ Book illustration. 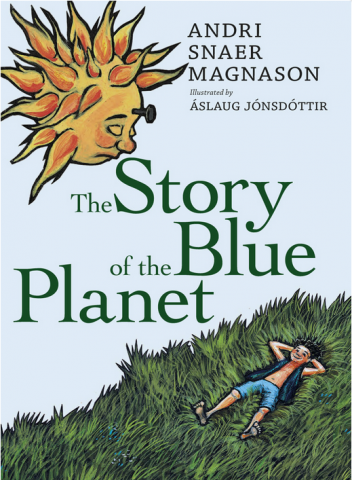 The Story of the Blue Planet by Andri Snær Magnason is now being published in Brazil. It has the original illustrations and follows the design I made in 1999. 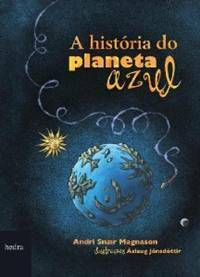 A história do planeta azul is published by Hedra, São Paulo. 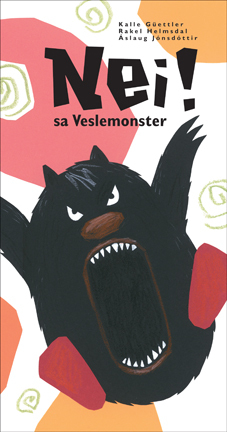 In Norway it’s Commentum í Sandnes that publishes Det var engang en blå planet, also sticking to the original design and illustrations, though the cover typo looks somewhat different. 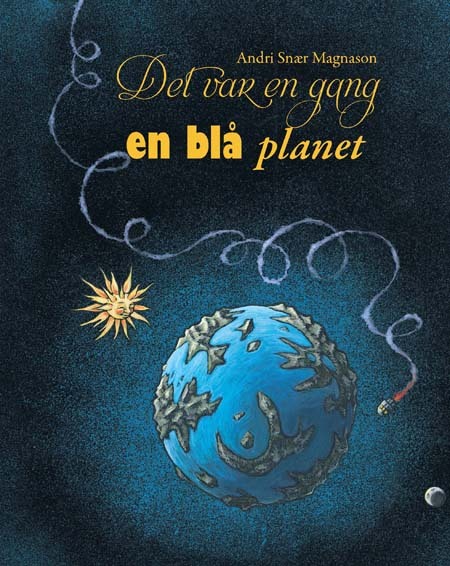 And then there is the English version: The Story of the Blue Planet, published by Seven Stories Press, making it available also in Canada, UK, Ireland and Australia. This English version has the original illustrations, but differs quite a lot from the original edition. 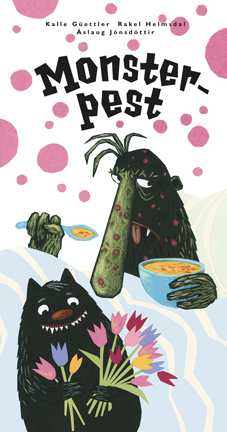 Cover and book design by TK / Seven Stories Press. Though I have not yet received a copy of the book, I still think the original design is worth copying. As in the other twenty-something countries the book has been published in, I am sure that many will enjoy this amazing book. 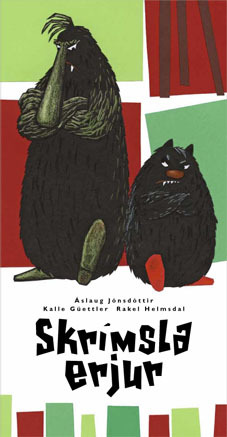 ♦ Bókaútgáfa: Frakkland. Fimmta bókin um skrímslin tvö, Skrímsli í heimsókn, kom út á frönsku í síðasta mánuði. Útgefandinn, Circonflexe, hefur gefið út fjórar fyrri bækurnar sem allar hafa fengið fínar viðtökur í Frakklandi. ♦ Book release: France. 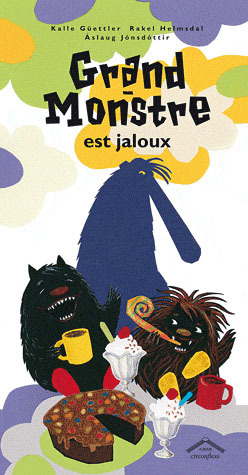 The fifth book about the two monsters in French was released last month. 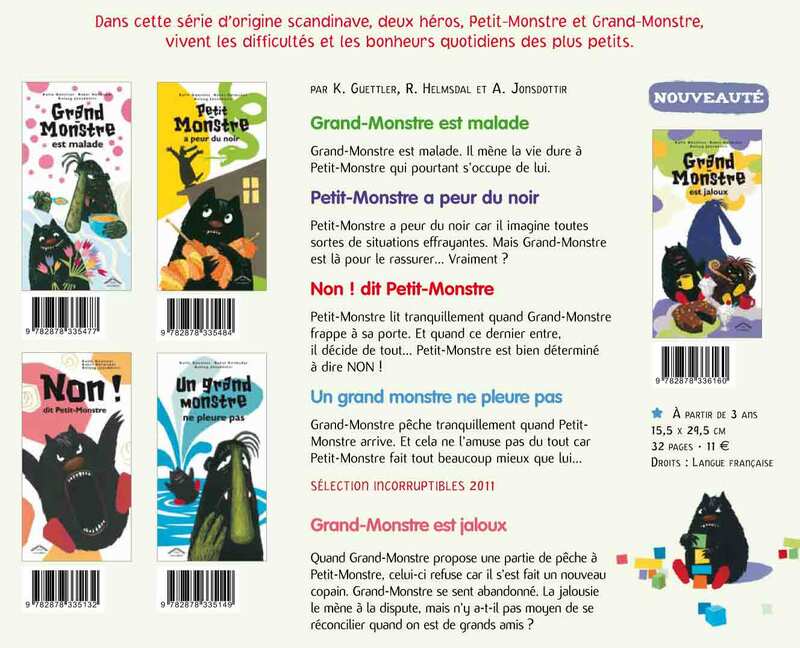 The monster series is published by Circonflexe.